Endodontic therapy, also known as root canal therapy, is performed on teeth that have been damaged or destroyed by infection of their pulp. By scraping the infected pulp out of these teeth, our Los Angeles endodontics expert can often save them from requiring extraction. At the same time, prompt action helps reduce risks of the infection spreading and causing complications. The pulp inside of teeth can become infected because of decay, physical trauma or structural damage from multiple dental procedures, or very large fillings. If left untreated, this infection can grow and cause problems such as extreme pain and abscess. By preventing the need for extraction, our expert in endodontics in Los Angeles can help patients avoid complications of tooth loss, including teeth shifting, tooth decay and periodontitis. Root canal therapy is performed by our endodontist, who has completed additional training in this specialty. Before beginning the procedure, our endodontist numbs the area with anesthetic. Next, our endodontist uses a drill and other special tools to take the infected pulp out of the tooth and replace it with medicated fillers, as well as a dam, to shut out future infections. For additional protection, a crown or permanent filling is often recommended. 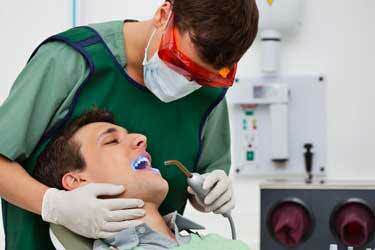 Teeth that have undergone root canal therapy are usually safe from future problems. When infections do reoccur, our Los Angeles endodontics expert may recommend retreatment. Among other problems, new cavities, cracked crowns and entry of saliva can make retreatment necessary. This procedure involves removing the crown and taking out the old packing material before replacing it with new packing material and sealing the tooth again. This is often the best choice for patients who want to avoid replacing the tooth with a dental implant. According to our expert in endodontics in Los Angeles, root canal therapy lets patients continue to enjoy the same foods they eat at present while avoiding additional restorative care or tooth replacement with dental implants. Once endodontic therapy is complete, treated teeth can last a lifetime with proper dental hygiene and regular check-ups.